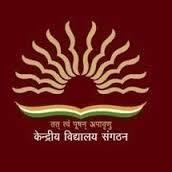 Kendriya Vidyalaya Warangal was established on first April 2007 in the civil sector. This Vidyalaya provides a platform for healthy all-round development of the future citizens. The Vidyalaya accommodates 904 students from class I to XII each two sections upto X and follows NCERT syllabus & affiliated to CBSE, New Delhi at +2 level. Admission starts in the month of February every year. The Vidyalaya has now got a newly constructed spacious building with all facilities.There are well ventilated class rooms, equipped laboratories, Activity room, Computer lab, Library, play grounds and dedicated staff. The cumulative efforts made helps in achieving the development of students. Are you Interested in Kendriya Vidyalaya Warangal.